This class will review hooping, placing a design, and stitching it out as well as editing options. We will also discuss design formats and how to get a design to your machine. 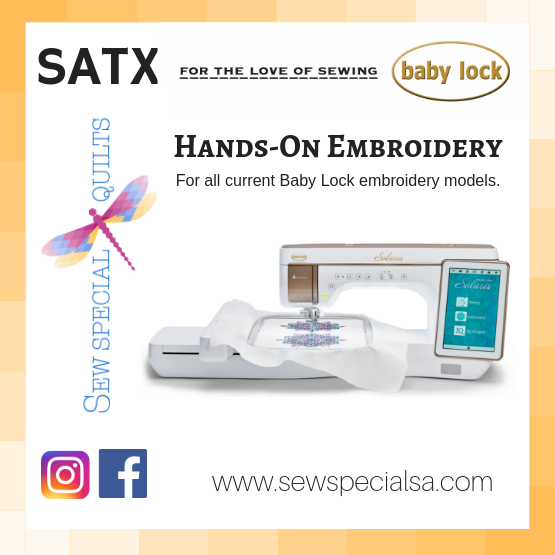 Registration Required for Attendance ** New Owner Classes 1 and 2, as well as Embroidery Basics, REQUIRED prior to taking this class.